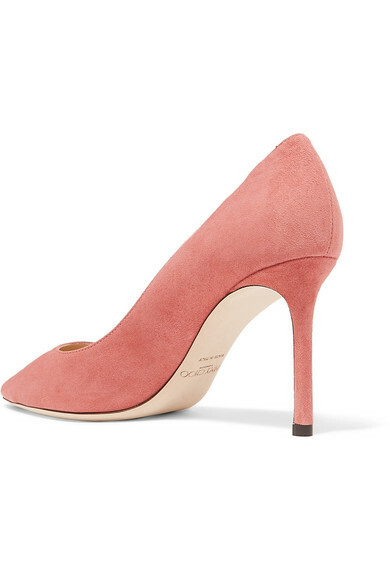 Jimmy Choo's 'Romy' pumps are one of the label's signature styles. 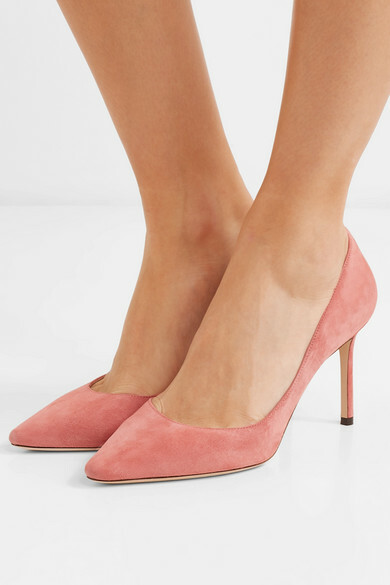 This pair has been made in Italy from suede in a pretty baby-pink hue and are defined by a pointed toe and 85mm stiletto heel. 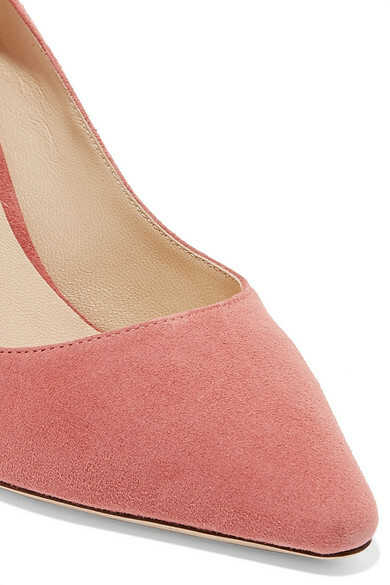 Wear them with everything from tailored pants to jeans. Shown here with: Victoria, Victoria Beckham Pants, Christopher Kane T-shirt, Victoria Beckham Shoulder bag, Chloé Choker.